What’s the main reason your staff return to camp each summer? We know it’s not the reasons “real world” HR believe in… 4-day work weeks, high pay, flex schedules, telecommuting, in house barista, etc, etc. In the summer camping world, we know that the #1 reason staff return to camp is for the relationships created the previous summers. With contracts out to staff invited back for another summer, now is the perfect time to remind them about these great relationships. A solid social media strategy that pulls on emotional heart strings, might just be the trick to pulling a few more great staff back to camp. We’ve blogged a few times about creating a staff specific instagram feed. If you haven’t done so, start with that. Reason: 61% of Instagrams almost 1 billion monthly active users are 18-34 year olds – isn’t that your camp’s staffing sweet spot? Staying in front of your staff with relevant content might be the thing that tips an on the fence staff member your way or even better helps them to recruit a friend to come along with them to work at camp. Here’s a link to our blog post on getting started with Instagram; Instant Staff Recruiting Upgrade with Instagram. Email your staff a link to your new staff Instagram feed and ask them to follow you and share their favorite camp photos from the summer. This will only take a few minutes assuming you have good staff contact software. Read our blog post How to select the RIGHT summer camp management software for guidance on your camp software. You can send this to staff from previous years also, but we HIGHLY recommend only reaching out to staff asked back. Sharing photos in Instagram is simple. Just open the picture in your own feed, click the paper airplane icon and select who to send the pic to. Best part of this is you get to curate which shots make the feed and avoid any inappropriate shots, like those boozy days at the beach shots, if you want. Spice it up and hold a staff photo contest. Offer some cool camp swag for prizes, awarded based on who collects the most “likes” and comments. Be sure to include a link to the staff social media feeds within the staffing section of your website. You definitely want potential staff to find this feed. If one of your staff or camper families say, “check out our camp, its a great place to work” you can bet that your website is the first place they will go. They will then click your social media icons (don’t believe us, ask you web master for the click analytics). If you only have the highly curated camper pictures, that’s all they will see about your camp. While smiling, happy, safe kids can be a huge selling point to camper families, it may not be enough for a 20 year old college student looking for an experience in the mountains. Show staff what your staff is really like. Have your summer social media staff keep this feed active during camp. Parents of staff members love to see what’s going on with their kids. We all know that parents are very involved in this generation of college students life and have input on how they spend their summers. Reference our blog post 5 Reasons you should get a summer camp job (and get your parents support!) to get an idea of what parents are seeking in a summer job for their kids. You have a great opportunity to “sell” to the current staff families and build content for the next group. The bottomline is that everyone in camping needs to be promoting summer camp as a great place to work. We spend a lot of effort as an industry promoting the benefits of camping experience for kids via social media. 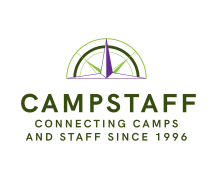 With just a little more effort we can all make a huge impact on promoting the wonderful benefits and opportunities that camp staff jobs offer also.